Amphibian Abstracts: Are There Still Tech Books? I had to fix a dresser drawer the other day. We're using it in my newest daughter's room, but it's really old. It was actually mine when I was a kid. The track guide broke off the middle drawer because the wood was badly damaged, probably from something I did to it in my youth. Part of the repair required me to use some glue and I asked my 10-year-old daughter to bring me some books off the bookshelf to put weight on it while it dried. The books she brought me made me wonder about technology books today. I have some old(ish) books on the shelf that I bought who-knows-when, and looking at them piled on top of an old drawer made me think about how I haven't bought a technology book in a long time. And this stack in front of me is worthless now! ASP In a Nutshell. Almost embarrassed to admit owning this one. Printed in 1999. 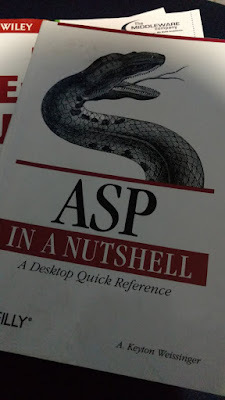 I had another ASP book that I got rid of a few years ago. I think I kept this one just for the snake on the cover. 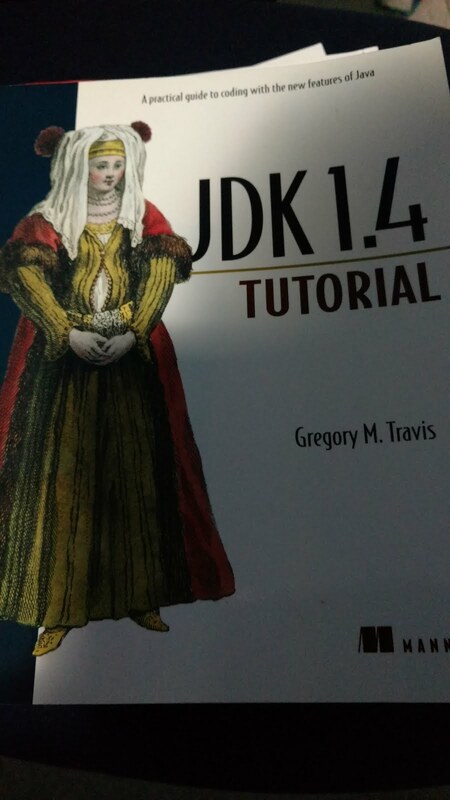 The JDK 1.4 Tutorial. Really came in handy back in 2002. The best part is the woman on the front who looks like she's trying to pull off a Medieval Ewok cosplay. 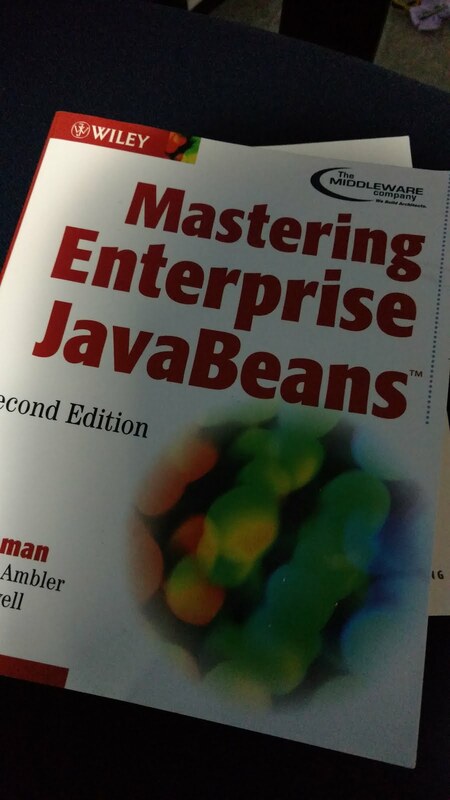 Another classic from 2002, Mastering Enterprise JavaBeans gave me a lot of code that I am still maintaining today. Unfortunately. 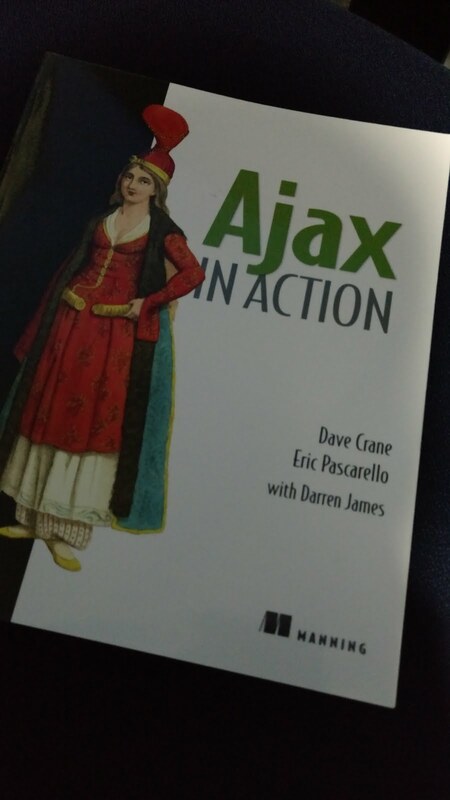 The most modern book in this stack, Ajax in Action dates to 2006. I remember excitingly opening this one to learn about the new asynchronous method of bridging the web client and server. I ended up feeling a little bit disappointed as it didn't really tell me anything I hadn't learned on my own in the previous few months. A quick look around Amazon.com tells me that they still do in fact publish books on software technologies. But I have to wonder who buys them, with so much information available for free on the Internet. But it's harder to glue a drawer with the Internet. 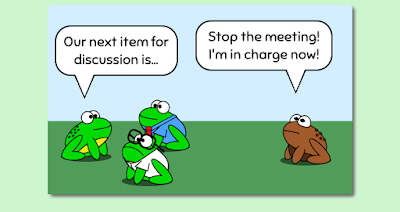 Be sure to read today's Amphibian.com comic. Since so many of them have special web-only features, they'll most likely never be published in a book. You can only read them online!